You can play Who Wants to be a Millionaire online, on your cell phone or as a board game and enjoy the same fast-paced trivia fun that you would see on the televised version of the game. The Who Wants to be a Millionaire Game originated in 1998 as a trivia game television show in the United Kingdom. The ABC television network introduced the show in the United States in 2000 as a primetime game show. The game was hosted by Regis Philbin and became the most wildly successful game show in years. His catchphrase "Is that your final answer?" quickly became mainstream. ABC licensed the game to Pressman Toy Corporation which published a board game version during the same year. The televised game show became so popular that a daily daytime version was started in 2002, staring Meredith Vieira. The game is now available in online, cell phone and DVD versions. Original game - You play against the clock, answering each of the randomly-selected questions. Video-based game - You play along with a prior contestant; comparing your answers against the answers the contestant gave while playing on the televised show. The original game mirrors the television game, including the music, sound effects and colorful laser-like visuals from the television show as you move through the fifteen available question levels.The game automatically presents a question and four multiple choice answers. You have 30 seconds to select an answer and to confirm that your choice is your final answer. You can play as fast as you want. 50:50 Option - The system will automatically remove two incorrect answers. Phone a Friend - You will receive actual advice from one of four former Millionaire game winners. Ask the Audience - You will see the results of how ABC network staff members who have answered the question. The game continues to present you with new questions and answer choices as long as you answer them correctly. When you have answered a question correctly at the $1,000 or $32,000 "milestone" you "keep" the money earned even if you answer a subsequent question incorrectly. No actual money is awarded for playing, but you certainly can keep track of your scores and challenge yourself to improve your "winnings" or challenge a friend or family member. This version of the online Millionaire game lets you select a prior contestant and play along with that contestant using the same questions and lifeline results he or she received.Meredith Vieira, the host of the daytime Millionaire game, reads the question and the four possible answers. The video shows the contestant you selected actually playing the game as well as the results of any lifelines requested by the contestant. The action freezes for 15 seconds to let you to select an answer. The video starts again, and you'll see the contestant give his or her answer. At any time during the game you can stop, switch contestants and start over. Millionaire Game - Contains questions and answers which are not available on any other game. Millionaire Pop Culture Game - Questions are based on current personalities, trends and activities. Millionaire Music Game - Questions test your musical knowledge, from old standards to current music. If you don't want to play Who Wants to be a Millionaire online, you can enjoy the easy-to-learn, trivia-based "Who Wants to be a Millionaire" board game. It is an excellent choice for a party game or family gathering. 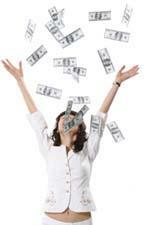 Players quickly get caught up in the excitement of earning large amounts of money - even if it is play money! The excitement makes it a fun game to watch, often causing non-players to try to guess the answers and cheer on the players. The board game is played just like the online version and the television show. Two to five players or teams take turns being the host, quizzing the other players with the 980 multiple-choice questions listed on the game cards. Phone a Friend - Players can ask a fellow player for the answer, ask non-players in the room or make a telephone call to a non-player. Ask the Audience - Players can ask fellow players for the answer. 50:50 Option - Players can look at a card in the game console on which several incorrect answers have been covered up.